Trigonometry’ is derived from the Greek words ‘trigon’ and ‘metron’ and it means ‘measuring the sides of a triangle’. The subject was originally developed to solve geometric problems involving triangles. It was studied by sea captains for navigation, surveyor to map out the new lands, by engineers and others. Currently, trigonometry is used in many areas such as the science of seismology, designing electric circuits, describing the state of an atom, predicting the heights of tides in the ocean, analysing a musical tone and in many other areas. In earlier classes, we have studied the trigonometric ratios of acute angles as the ratio of the sides of a right angled triangle. 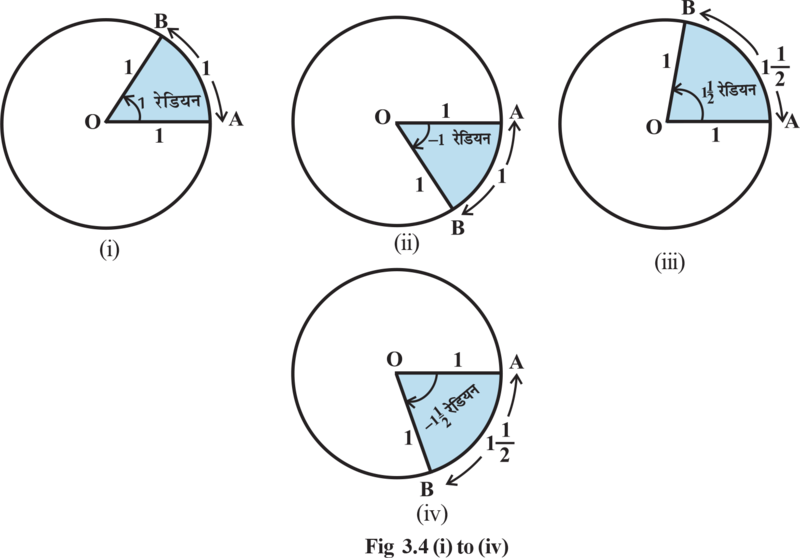 We have also studied the trigonometric identities and application of trigonometric ratios in solving the problems related to heights and distances. In this Chapter, we will generalist the concept of trigonometric ratios to trigonometric function and study their properties. This is often convenient for large angles. For example, we can say that a rapidly spinning wheel is making an angle of say 15 revolution per second. We shall describe two other units of measurement of an angle which are most commonly used, viz. degree measure and radian measure. 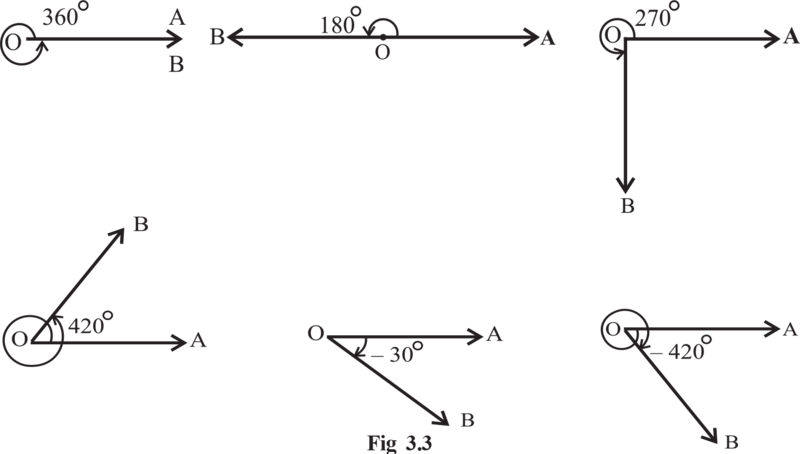 Degree Measure: If a rotation from the initial side to terminal side is of a revolution, the angle is said to have a measure of one degree, written as 1°. A degree is divided into 60 minutes, and a minute is divided into 60 seconds . One sixtieth of a degree is called a minute, written as 1′, and one sixtieth of a minute is called a second, written as 1″.